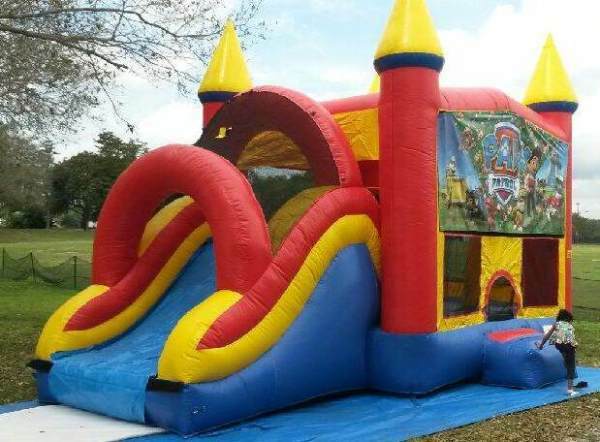 13' x 13' Bouncing area Set up and break down included (No generator or attendant included in price) Themes available at no extra cost. 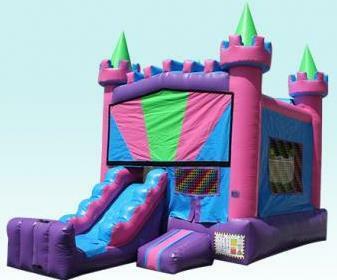 3in1 Pink and Purple Castle 13'x 13' Bounce House, Basketball hoop (ball not included), and dry slide. 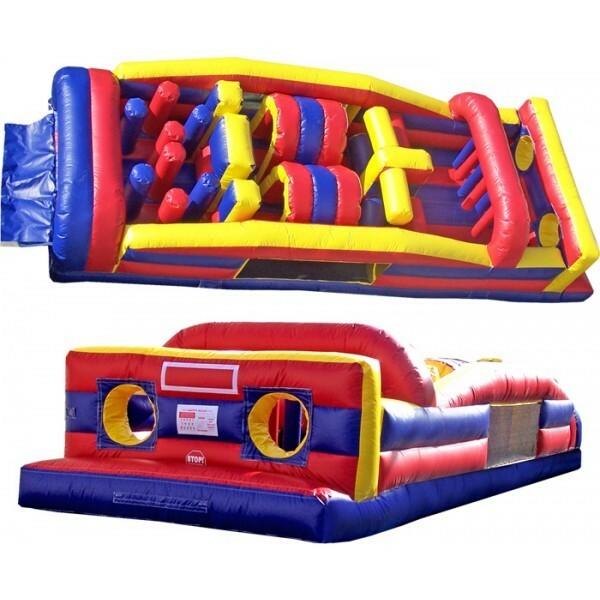 SIZE 19L x 13W x 14H $145 Inflatable do not include generator or attendants. 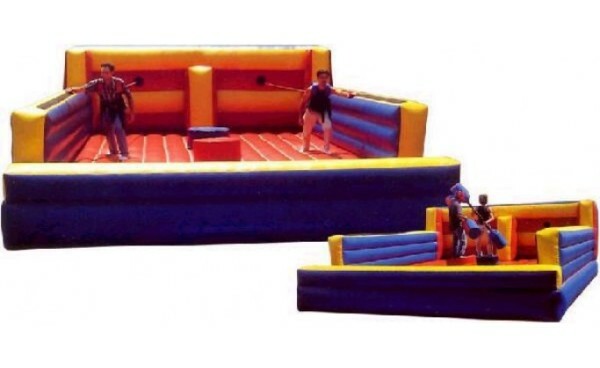 7 ELEMENT OBSTACLE Perfect for tight spaces, indoor events, and a quick race thru. Requires two electrical circuits. 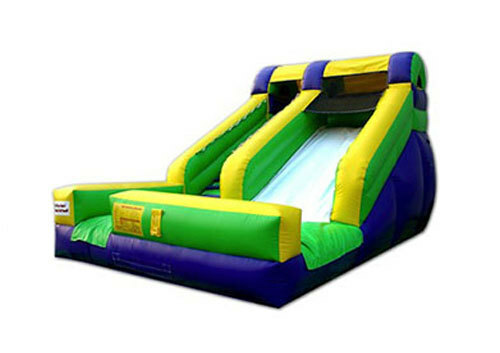 Rockwall slide is perfect for all daring ages. This is an unforgettable ride! 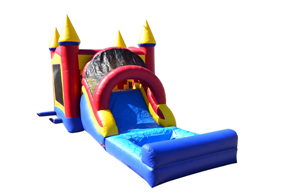 Tall 4 in 1 Combo Wet Includes 13'x 13' bouncing area with basketball hoop (ball not included), climbing wall to top of the tall wet slide. 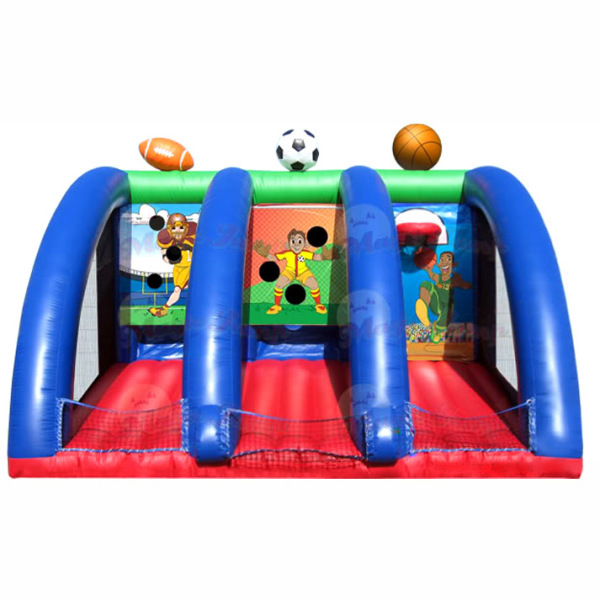 Toddler inflatable with safe entertainment for the little ones. 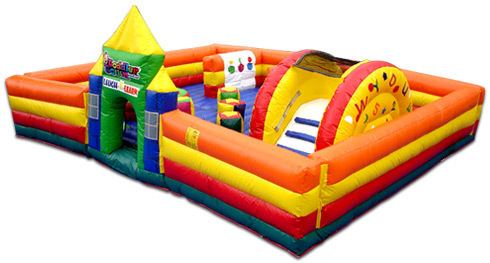 Slides, cubbies, ball pit and more. 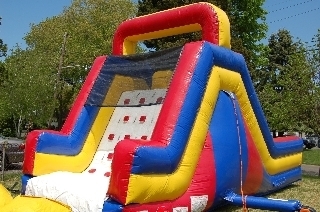 This front loading wet or dry slide is 15' tall and the children land in a shallow water area for safety. Dimensions: Length: 22'0". Width: 13'10". Height: 14'4".